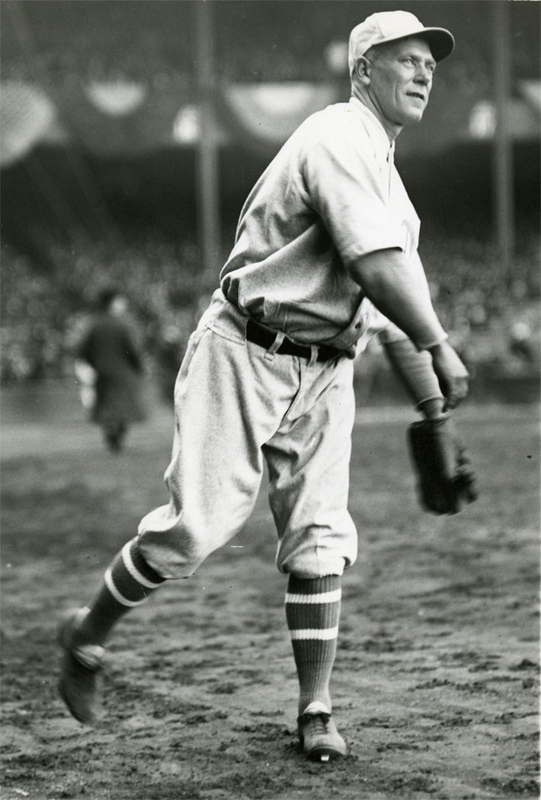 Baseball Researcher: Did Babe Ruth Ever Bat Right-Handed? Did Babe Ruth Ever Bat Right-Handed? 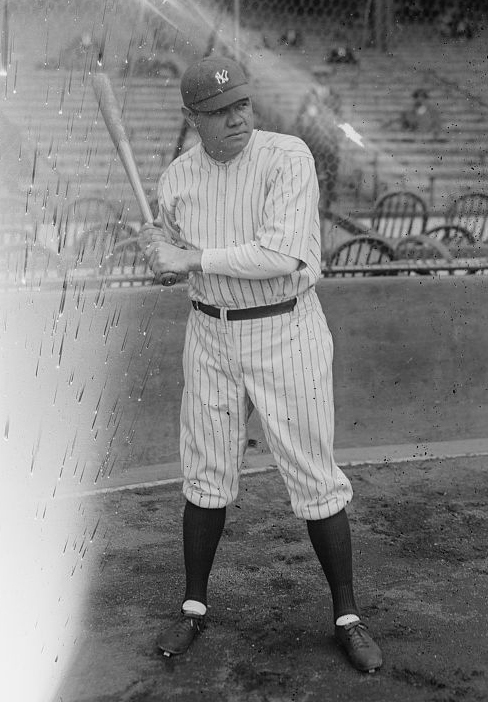 There have long been rumors that Babe Ruth, one of the greatest left-handed batters of all time, sometimes batted right-handed. Are those stories true? Let’s take a look at the various claims. 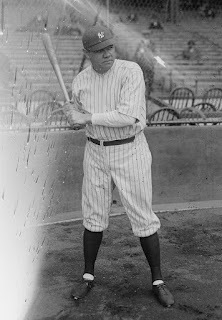 What Babe Ruth might have looked like as a right-handed batter. For the first time in a regular season game he hit three home runs in one game ... and he still had one more time at bat .... 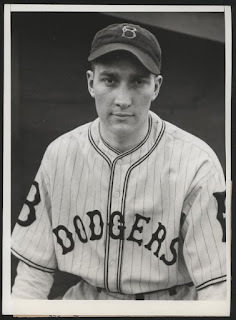 When Ruth came up in the ninth he faced the right-handed spitball pitcher Jack Quinn. Outraging reason, Ruth decided to bat right-handed against a right-hander. He took two called strikes in this unfamiliar batter's box, then crossed over to bat left-handed—and struck out. Alas, the story doesn’t add up. First, Jack Quinn didn’t pitch in the ninth inning that day. Second, Ruth did not strike out that day, against Quinn or any other pitcher. Third, Ruth’s first two homers came in his first two at bats. But his third homer came in his fourth and final at bat, a ninth-inning blast off Lefty Grove. Only in his third at bat (this one occurring against Jack Quinn) did Ruth fail to homer, and according to Retrosheet.org he flied out to right field. Fourth, if Ruth were to bat right-handed, it would make the most sense to do so off a lefty, but of the three pitchers that Ruth faced that day, only the final pitcher (Lefty Grove) was a southpaw. Ruth homered of Grove and there is no mention of him blasting it as a right-handed batter. Conclusion: False. There is no contemporary evidence that Ruth batted right-handed for any of his at bats that day. 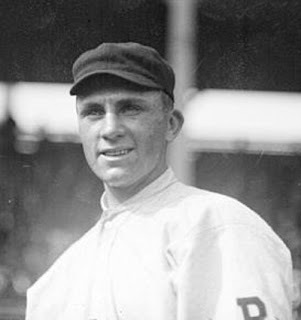 It is unclear if O’Neill was referring to Harry Coveleski or (more likely) his younger brother Stan, but while Ruth notched four walks in a game a total of 18 times during his career (including once in the 1926 World Series), none involved either of the pitching Coveleski brothers. Conclusion: False. This claim simply doesn’t add up. 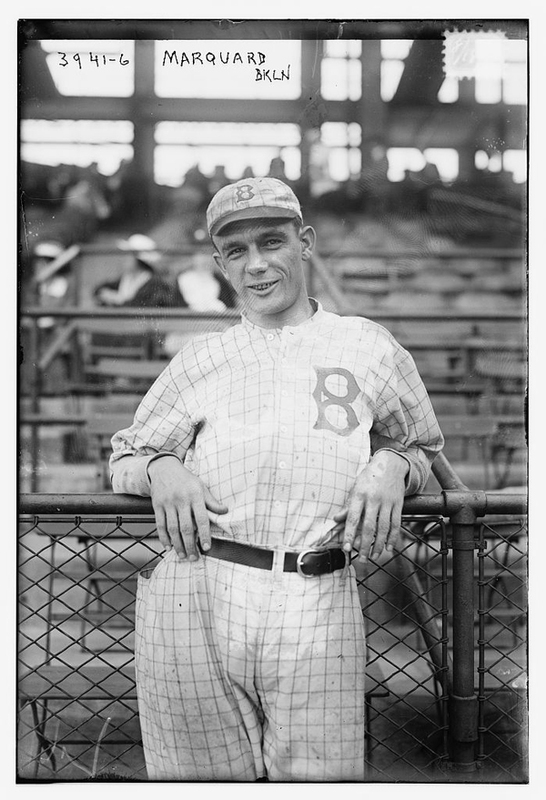 In his book “Babe Ruth and the 1918 Red Sox,” author Allan Wood states that Ruth batted right-handed against noted southpaw Rube Marquard during a 1918 spring training game between the Red Sox and the Brooklyn Dodgers in Dallas. 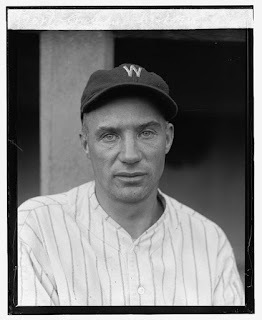 I contacted Allan and he generously tracked down his research notes which revealed that, according to the Boston Herald-Journal of April 3, 1918, Ruth batted right-handed in his second of three at bats that day. Conclusion: Likely true. Though I’d prefer to have another independent source confirm this claim, I’m inclined to believe that in this spring training game, Ruth did indeed bat right-handed once. On August 1, 1923, the Yankees hosted Cleveland at the newly opened Yankee Stadium. With the visitors leading 5-1 entering the bottom of the ninth, Cleveland lefty Sherry Smith looked to notch his sixth complete game of the season. With one out and New York’s Whitey Witt on second base, Ruth stepped to the plate having gone 0-for-2 with two walks against Smith already that day. Instead of heading to the left-hand batter’s box, however, Ruth decided to switch things up. As reported in the Pittsburgh Daily Post the following day, “His last time up, Babe introduced a new one. He became a right-handed hitter for a moment. He looked over one while standing on the left of the plate, that one a strike. Then he switched back to the trances of his childhood and biffed the first one.” In other words, Ruth took strike one as a right-handed batter, then switched back to the left side and promptly hit a home run. Bases on balls are like so much poison. When Sherrod Smith passed me twice a few days ago when I had an opportunity to get out in front of Harry Heilman [sic] and lead the American league hitters, I did something I had been thinking of ever since [George] Uhle crossed me at Cleveland. That’s why I batted right-handed against Smith last week. I wanted him and [Indians manger Tris] Speaker to know exactly how I felt. I’ll never forget what happened as long as I live. It was in the ninth inning. Smith looked at me and stepped out of the pitching box. He thought I was just kidding, but I stayed at the plate as though I would hit right-handed and the Cleveland outfield switches around to play me for a left-field hitter, instead of as they always do. Then Smith cuts loose with the first good one he gave me all day—and I let it go. It was a strike and I moved over to the other side of the plate to hit left-handed. Smith was a little upset and the Cleveland outfield moves back toward right field. It was a funny sight. Then Smith gives me another good ball. I don’t know whether it was an accident or not. Anyhow, I hit one of the longest homers I’ve made at our new stadium. And I haven’t stopped laughing yet. Conclusion: True. 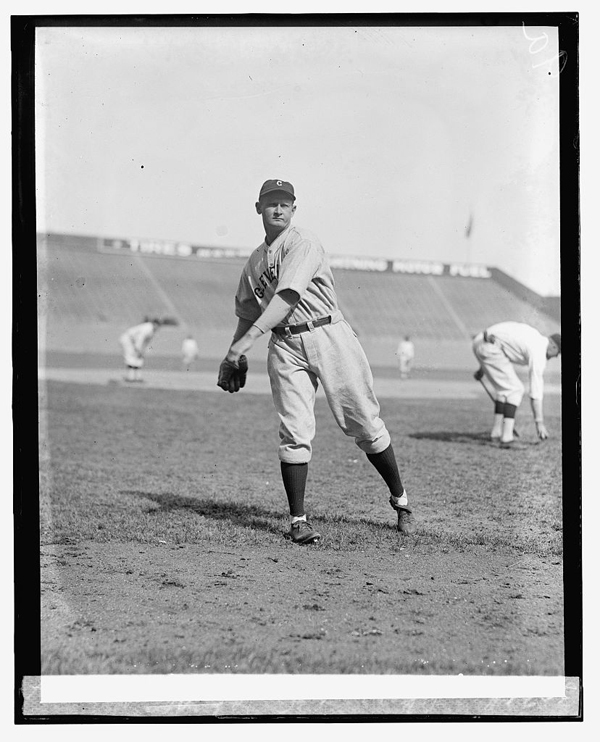 Ruth dabbled with batting right-handed a few times in early August of 1923. In a ninth-inning at bat on August 1st he began as a righty, then promptly switched to the left side before homering. And on August 5th, the Babe batted right-handed twice in extra innings, in each instance taking an intentional pass. 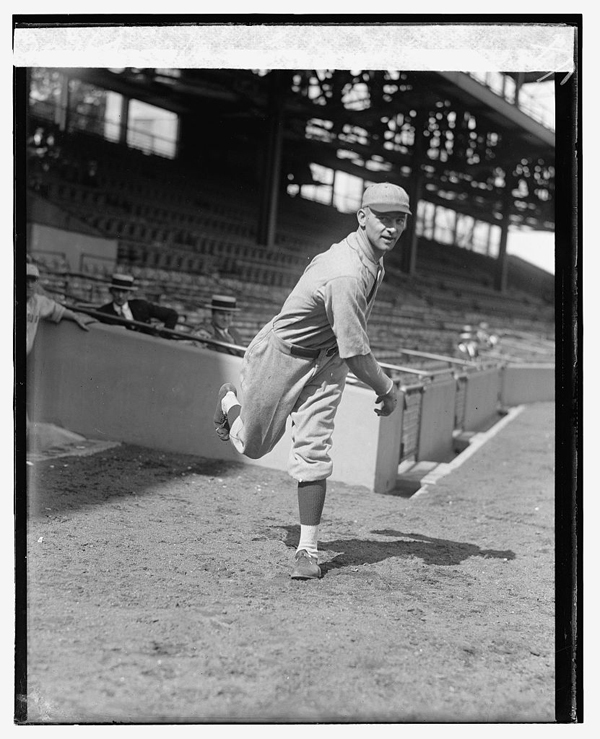 The opposing pitcher was likely southpaw Phil Page. The bigger story that day, however, was that the Ruth's favorite bat had been stolen during the contest. The next day the bat was located and soon returned to the Babe. Conclusion: Likely true. While I’d like further confirmation, the very direct statement in the New York Times makes it probable that Ruth batted right-handed in an exhibition game on June 24, 1927. If you know of any other contemporary references to Babe Ruth batting right-handed (either in a regular season or exhibition game), please alert me by commenting below. I will see if I took notes from the Brooklyn Eagle, but I'm skeptical that the Eagle reporter would have spent much time discussing the Red Sox. Also, Edward Martin may have dictated his story over the "long-distance telephone" (making a non-local call was still a novelty in those days). If so, that would have introduced another ripe opportunity for the possible miscommunication mentioned above.